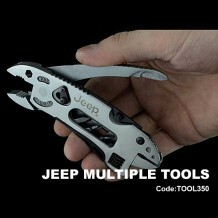 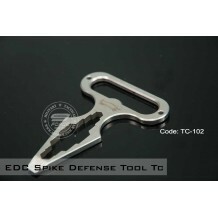 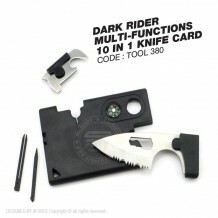 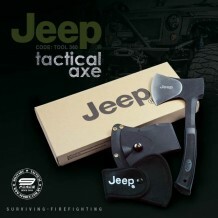 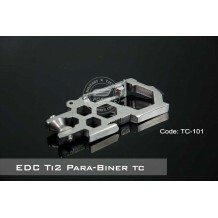 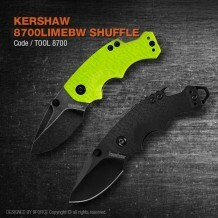 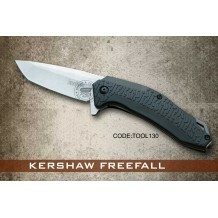 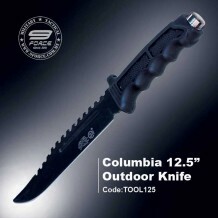 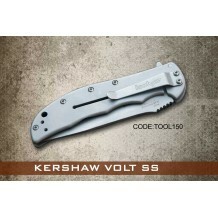 100% brand new with high quality Great for outdoors Multi tools with mini knife, saw, spanner, pliers, wrench,and screwdriver Specification: Color: Silver & Black (as picture shown) Blade material: 420 steel Handle Material: Stain..
Bad Blood Knives Dreadnaught Fixed 4-11/16" 8Cr14 Stainless Blade, G10 Handle, Kydex Sheath +Kydex sheath construction +Mosaic pin handle construction +Sharp jimping on the spine of the blade Blade Length: 4-11/16" Blade: 8Cr14 Stainless Steel, Saber Ground ..
Bad Blood Knives Paradigm Fixed 2-1/2" 8Cr14 Stainless Blade, G10 Handle, Kydex sheath construction, Mosaic pin handle construction, Sharp jimping on the spine of the blade Blade Length: 2-1/2" Blade: 8Cr14 Stainless Steel, Saber Ground Thickness: 0.19.. 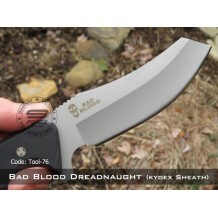 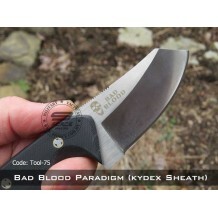 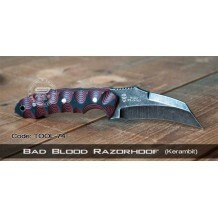 Overall Length: 210mm Blade Length: 90mm Blade: 8Cr14 Stainless Steel, Chisel Ground (Limited edition) Handle Material: Red & Black G10 Weight: 235.30 gram Sheath: Fiber enforced kydex fitted sheath Manufacturer: Bad Blood Man..
Name: BALISONG Code: BLS100 Weight: 500 gram ..
NAME: Benchmade 140SBKSN Nimravus CODE: TOOL140 Features Single Piece Full-Tang Large Finger Groove for Added Control Machined Aluminum Handles BK1 Coating Coyote Color Aluminum Handle Scales Multi-Feature Soft She..
Name: DAGGER COMANDO BYN500 Code: BYN500 Weight: 1 Kg ..
Name: EDC SELF DEFENSE TOOLS (HIGH QUALITY) Code: TC102 Weight: 100 gram Multi-function tools ..
Name: EDC Ti2 Para-Biner Code: TC101 Size: 41mm x 92mm ..
Name: Extreme Shine For Leather Shoes Code: POLISH001 Weight: 73 gram Color: black .. 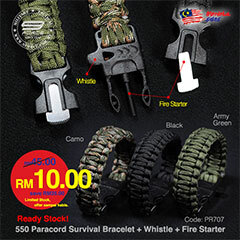 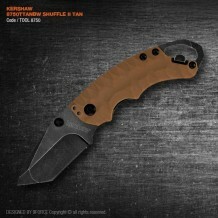 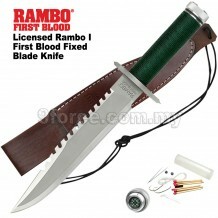 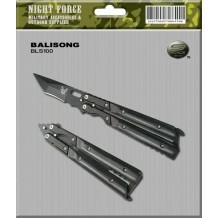 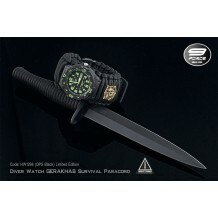 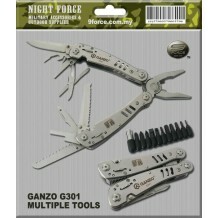 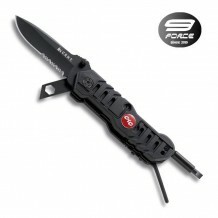 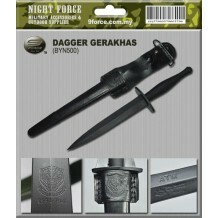 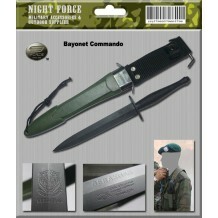 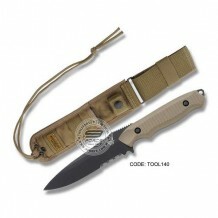 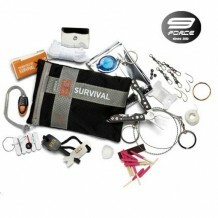 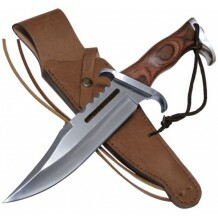 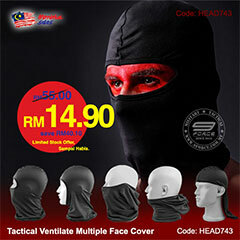 Product Name First Blood Rambo III Knife, Standard Edition Specification Specifications: Overall Le..
Name: GANZO G301 MULTIPLE TOOL Code: GANZO G301 DATANG SEKALI DENGAN PURCH ..
Name: Gerber Bear Grylls 16 Piece Kit Code: TOOL16 Gerber Bear Grylls Ultimate Survival Kit: 16-piece kit that includes Gerber Miniature Multi-Tool The Gerber Bear Grylls Ultimate Survival Kit has a waterproof bag Miniature light Hand saw..
NAME: JEEP TACTICAL AXE - TOOL360 CODE: TOOL360 COLOUR: BLACK ..
Name: Licensed Rambo I First Blood Fixed Blade Knife Code: Licensed Rambo I • FEATURES: Overall Length : 14' Blade Length : 9' Blade Thickness : 1/4' Handle Length : 5' Sheath : Top Grain Leather Belt Sheath w/ Leg Tie ..